A few months ago, I walked around North Miami with my oldest brother and his family. He and his wife and two daughters had just moved back to South Florida after living in California for the last eight years. While we got reacquainted with their neighborhood, we noticed there really weren’t too many places outdoors for all of us to sit down and catch up. So, I’m looking forward to when a Public Space Challenge idea to transform an alleyway in downtown North Miami into a safe, pedestrian-friendly gathering spot away from the busy street comes online. Today, The Gathering Lane on 125.5 Street is named one of 22 winners of the 2018 Public Space Challenge, sharing more than $300,000 to create, improve or activate our gathering spaces. Whether it’s protecting our environment through shoreline clean-ups or strengthening bonds between neighbors by activating community gathering spots, these ideas will help build a more resilient Greater Miami as they take shape over the next year. But what’s even more amazing than the projects, are the people and stories behind them. These are everyday residents who simply saw an opportunity to make their neighborhood better and stepped up to the Challenge to make it happen. 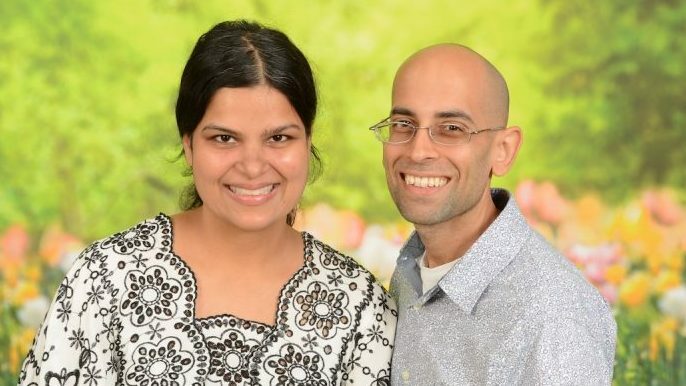 Pictured above: 2018 Public Space Challenge Winners Iqbal Akhtar and Zafreen Jaffery, who want to convert a vacant lot in their Brownsville neighborhood into a community garden. Take Iqbal Akhtar and Zafreen Jaffery. They want to convert a vacant lot in their Brownsville neighborhood into a community garden. They have their own vegetable garden in their yard and neighbors often stop by and ask about the plants. They’ve loved getting to meet new people this way and thought how wonderful it would be for the neighborhood to have a garden so that residents could learn how to grow their own organic foods and vegetables. 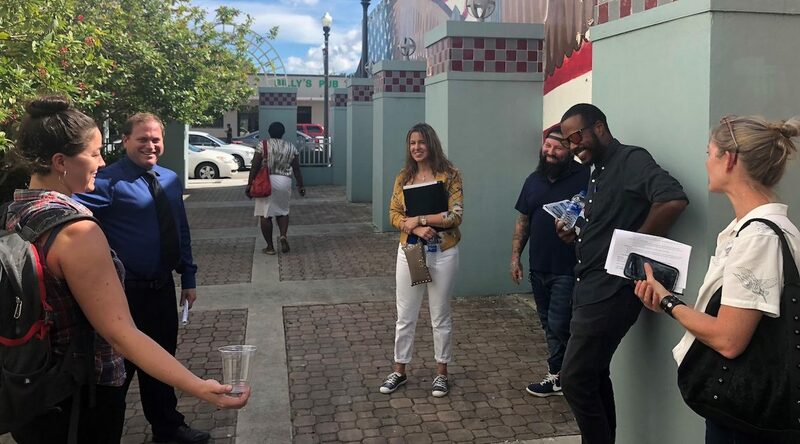 PIctured above: 2018 Public Space Challenge winner Manny Rionda puts his #FillABagmovement plan into action. 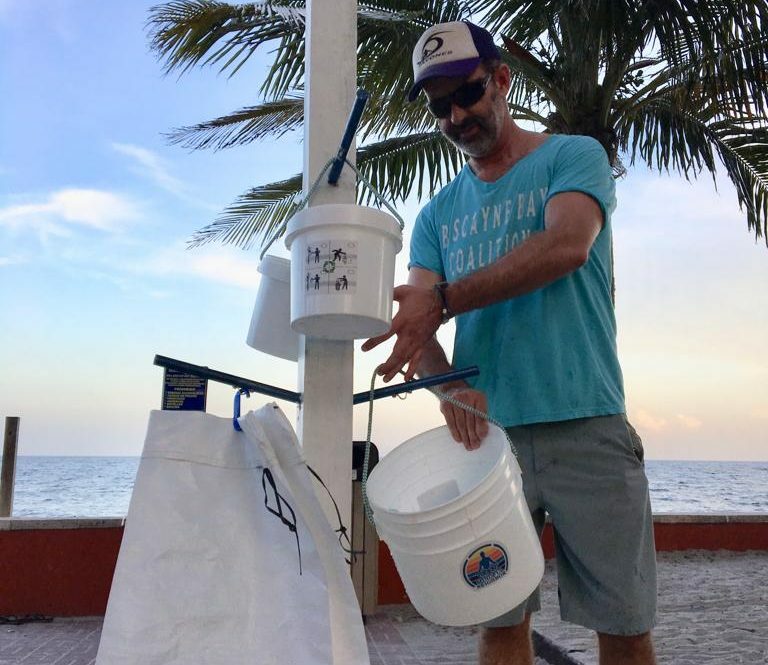 Then, there’s Manny Rionda, a Key Biscayne resident who, for years, has gone for walks along the beach and picked up litter along the way. One day, he decided to set up a station that would make it easier for other beachgoers to do the same. Before he knew it, a #FillABag movement had started. Passers-by began taking bags from the station, collecting trash and posting photos about their clean-up efforts on social media. With his Challenge grant, he plans to expand the project to at least five different parks and beaches throughout Miami-Dade County. PIctured above: 2018 Public Space Challenge Winner Gabriela Barrocas and other community members. As part of her winning project, Barrocas will use single-use plastics to create a life-sized, touring maze. He’s not the only one with a simple idea to clean up our parks. Like Manny, Gabriela Barrocas cares deeply about our environment. Gabriela is an artist who wants to give single-use plastics cluttering Biscayne National Park new life. She’s working with the National Parks Trust to reshape collected debris into a touring, life-sized maze. Sections of the maze will showcase other artists who also use recycled trash for their work or speak to conservation. By turning learning about recycling into a fun experience, Gabriela hopes visitors will feel inspired to take ownership of their environment and get involved in local cleanup efforts. We’re also grateful to once again have support from Target, which is supporting projects that contribute to thriving communities and a healthy environment like Fill-A-Bag and the debris maze, as well as The Resilient Living Shoreline Micro Smart Park. All of the winning ideas also add momentum to Miami-Dade County’s Parks and Open Space Master Plan. As partners in this year’s Challenge, officials from the county’s parks department helped us select the winning ideas. 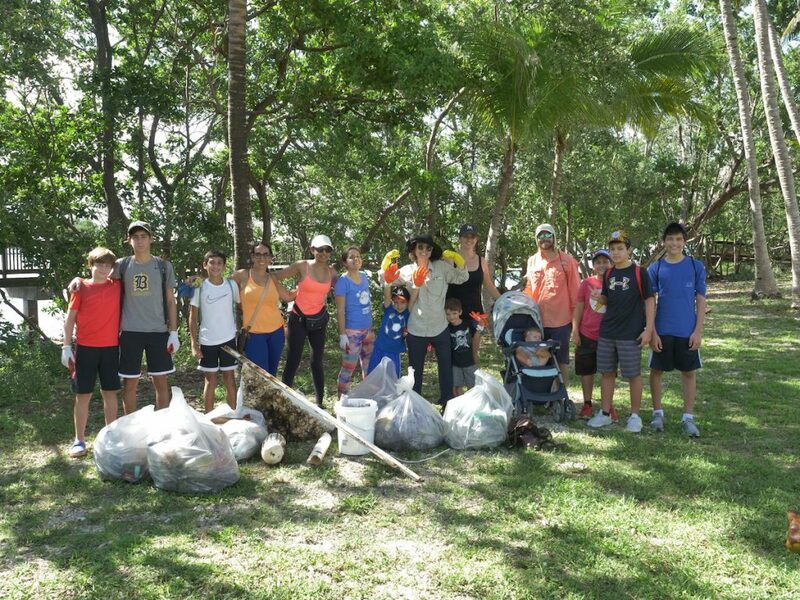 With a small investment from The Miami Foundation, each one of these passionate Miamians is taking one step toward making a lasting change on their community – which get us a few steps closer to having a great park within walking distance of every Miamian. They have the support system, the funding and the passion: now, it’s time to get to work. Take a look at the winners in your neighborhood. You may just feel inspired to make your own idea a reality, just like these Miamians did.